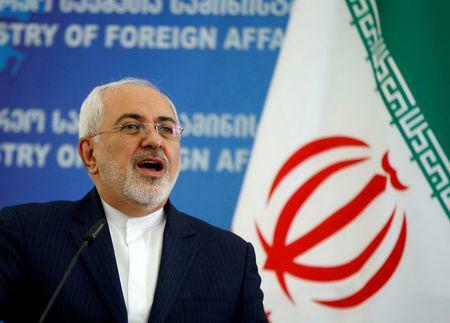 DUBAI (Reuters) - Iranian Foreign Minister Mohammad Javad Zarif tweeted Jewish New Year greetings to Jews in Iran and around the world on Sunday, as tensions mount between the Islamic Republic and Israel over Tehran's regional role. Israel said last week it had carried out more than 200 attacks against Iranian targets in Syria in the past two years, and it signaled last Monday that it could attack suspected Iranian military assets in Iraq. Iran does not recognize Israel and warned last month it would hit U.S. and Israeli targets if it were attacked by the United States after President Donald Trump’s security adviser said Washington would exert maximum pressure on Tehran going beyond economic sanctions.